With Halloween behind us, the candy consumed and the leaves almost gone, it’s time to look toward Thanksgiving and the busy holiday season. 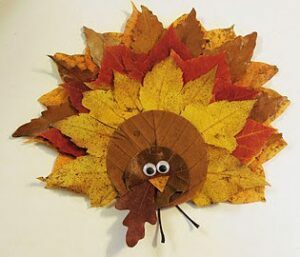 This year, try some simple crafts to get you in the grateful spirit of Thanksgiving. I got this idea and photo from Woman’s Day magazine, one of my favorite magazines! 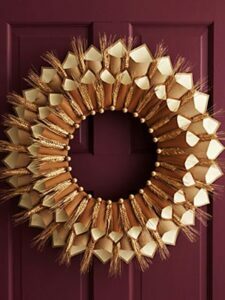 This paper decoration is durable and you can find the supplies at any craft store. I got most of mine from Jo-ann Fabrics. 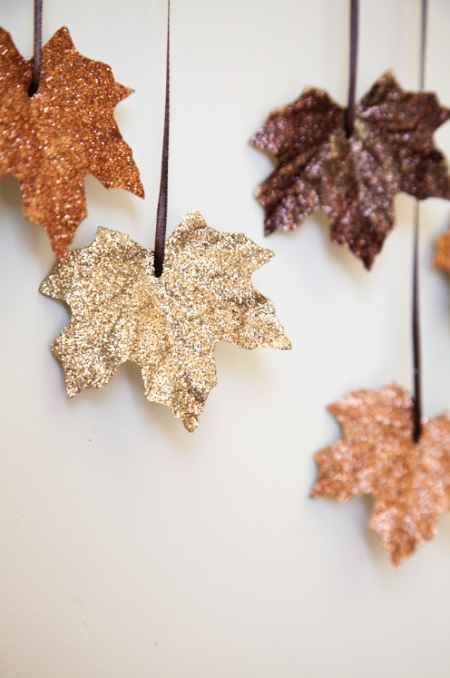 At Sisters Know Best, we love an easy fall leaf craft. And, since you all loved the Nicole Duke’s Easy & Free DIY Leaf Rose tutorial, we thought you’d like to keep in theme and try this one! 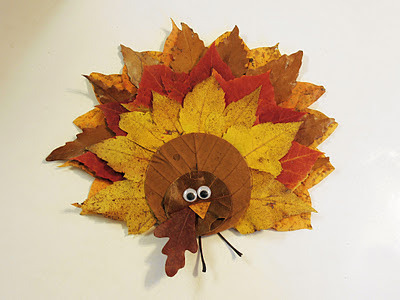 Those fall leaves are still coming down like crazy, and every day we notice gorgeous colors to make crafts with. 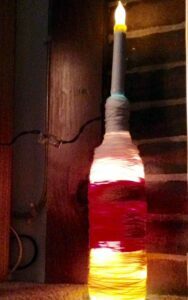 We found this on Pinterest and followed it to a site called My Creative Stirrings (picture credit). We fell in love and think you will too! Is it really only 2 weeks until Halloween? Wow! Time flies by when you are crafting! The fall leaf rose was such a success a lot of our projects took a back burner as we answered our fans’ comments on the blog and on Facebook and made the video tutorial for leaf roses. But now we are back to creating, crafting, and sharing! 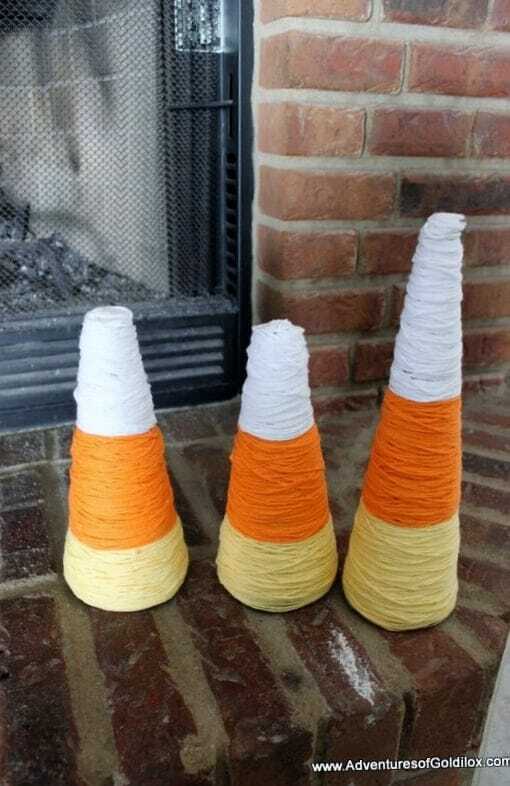 We stumbled on to these Candy Corn Decorations last night at Adventures of Goldilox and just had to try them! So easy, affordable supplies and they come out so darn cute, what’s not to love?! Because you can put them inside or outside, they are perfect for brightening up any decor and bringing out the good feelings of this time of year. Just make sure if you put them outside you bring them in during rainy weather! 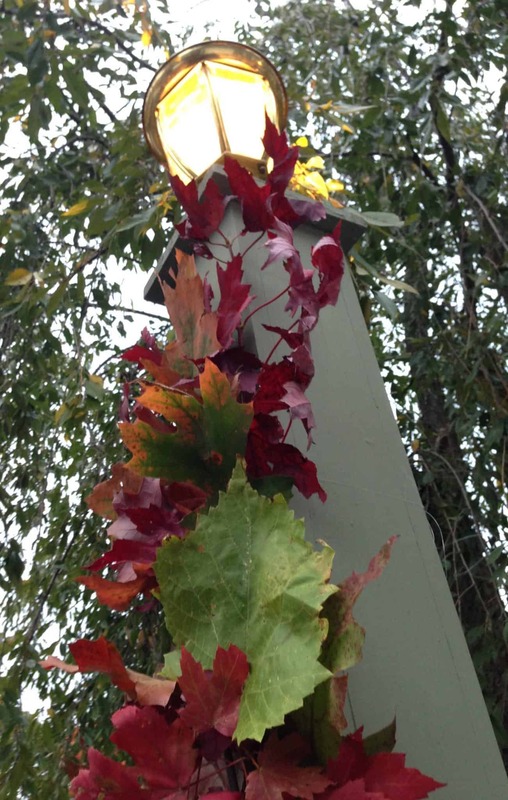 This fall leaf garland takes advantage of the brilliant colors of autumn. While out looking for leaves to make more fall leaf roses, my imagination was running wild! Bill and I picked up so many colors and even found a couple fallen branches we dragged home. 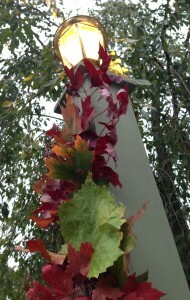 I made a couple more fall leaf roses and then took the rest to make this fall leaf garland for our post outside. 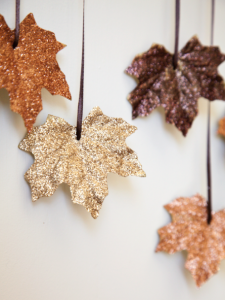 This is another free and easy fall decoration that was fun to do!